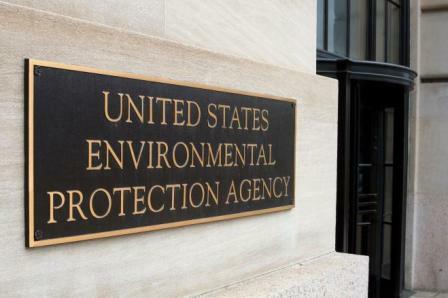 As reported in Reuters, the U.S. Environmental Protection Agency issued $72 million in civil penalties to polluters last year, the lowest level in at least two decades when adjusted for inflation, according to an analysis of agency data. A similar report by VOX in 2018, stated that a February 2018 report from the Environmental Integrity Project, a watchdog group that advocates for enforcement of environmental laws, the amount of fines collected in 2017 by the EPA plummeted compared to the agency under the past three presidents in their first year in office, as seen below. Environmental advocates called the level of fines a symptom of the Trump administration’s pro-fossil-fuel agenda. The EPA rejected that assertion and said it was using “all the tools” at its disposal to deter pollution. The analysis, conducted by President Barack Obama’s former EPA assistant administrator, Cynthia Giles, and first reported by the Washington Post, showed civil fines for polluters during 2018 at $72 million, the lowest level since at least 1994. Over the previous 20 years, EPA had issued a wide range of fine totals, ranging from a low of $86 million in 2007 to over $6 billion during Obama’s final year in office – a massive outlier because of a settlement the EPA finalized with BP (BP.L) over its oil spill in the Gulf of Mexico. The median level of the EPA’s annual fines during that period was about $155 million, according to the data, which Giles shared with Reuters. The EPA said it was not giving polluters any breaks, and cited a recent $305 million settlement with Fiat Chrysler (FCAU.N) over emissions violations. “Let there be no mistake — EPA enforcement will continue to correct non-compliance using all the tools at its disposal, including imposing civil penalties to maintain a level playing field and deter future misconduct,” said Susan Bodine, assistant administrator for EPA’s Office of Enforcement and Compliance Assurance.